Carley Mills Community House will hold a rummage sale at 1236 County Route 84, Hastings, on July 18 – 10 a.m. to 3 p.m. and July 19 – 10 a.m. to 3 p.m.
All proceeds go to Carley Mills Cemetery Association for repairs needed for the Community House. Come see what we have to offer, you may just find what you’ve been looking for. They are a non-profit organization. The Community House is part of the Carley Mills Cemetery Association. It is the last standing one-room schoolhouse that was listed as #6 in The Central Square Central School District. It is our goal to raise enough money to replace the roof that is in dire need. It is also our goal to restore this beautiful historical landmark to its original beauty. 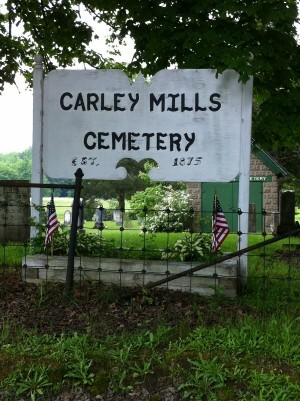 Carley Mills Cemetery Association was established in 1875. It was built by George Carley. We have just replaced the old sign with a new one and we would love for the public to stop out and see it. If you’ve never seen a one-room schoolhouse, then it is worth the trip. We still have the original bell that was used and yes, it still works.